Lewis Center, OH (PRWEB) March 4, 2011 - Mobius© Central Garden & Pet is adopting Mobius® image recognition technology to engage mobile Pennington Ultimate Grass Seed consumers and to provide an entirely new level of lawn care information. 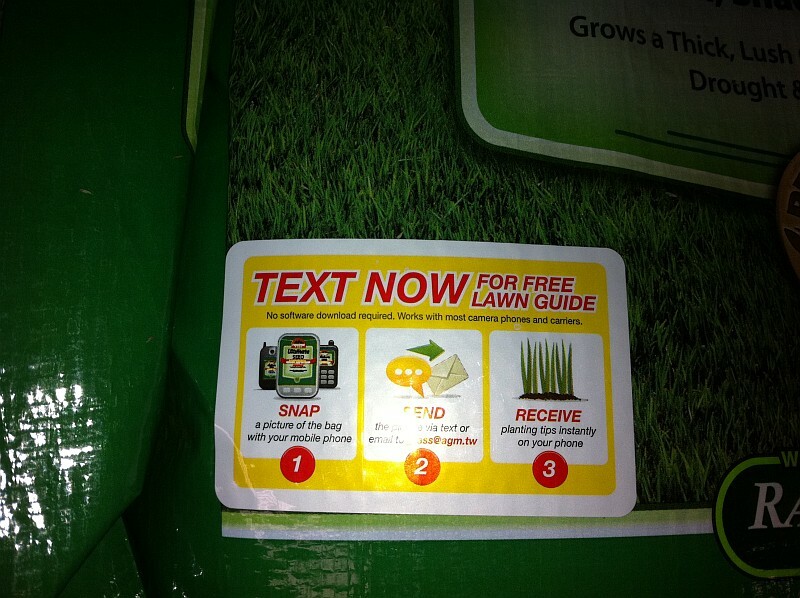 Consumers can use any camera-enabled mobile phone to snap a picture of the Pennington Ultimate Grass Seed product and send it to grass(at)agm(dot)tw. Mobius will then provide instant access to a free lawn guide, video planting tips, other Central Garden products available, and additional content that is specifically designed for mobile users. The mobile experience was designed by Central Garden's agency, IQ, based in Atlanta, Georgia. IQ crafted the in-store mobile experience to improve purchase rate and consumer satisfaction by increasing the confidence of consumers through delivery of relevant, meaningful and helpful content, all with the snap of a single photo. 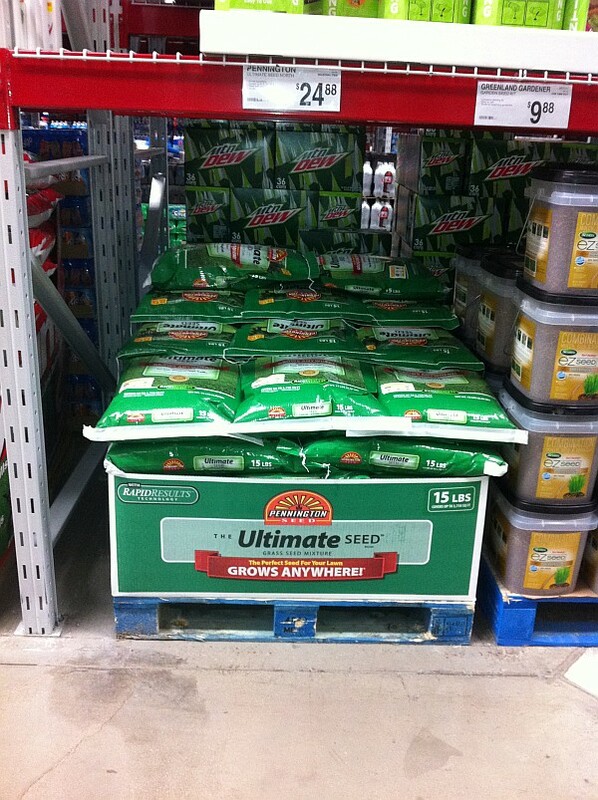 The Mobius image recognition program will debut with Pennington Ultimate Grass Seed and feature additional Central Garden & Pet products that are currently available at Sam's Clubs and a select group of Wal-Mart stores. A sticker on each grass seed bag explains how consumers can take advantage of the user-friendly mobile program in 3 easy steps. 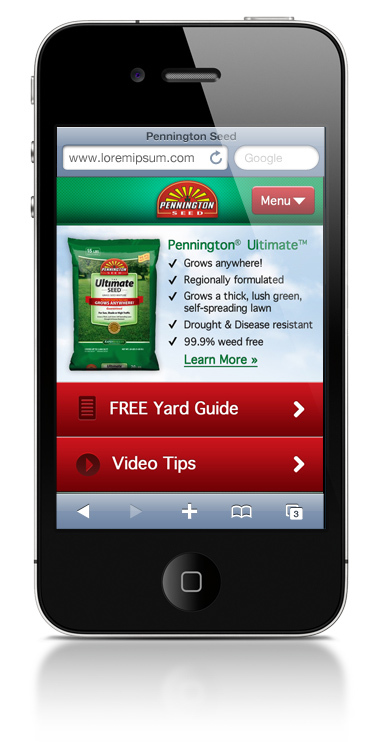 "The Mobius image recognition engine is trained to recognize Pennington Ultimate Grass Seed's branded product packaging," said Mobius CEO Aram Kovach. "There is no need to scan meaningless codes or other abstractions. Customers simply snap a picture of the bag and send it, and Mobius immediately returns custom mobile content that helps them get the best results from that particular product. This mobile-based interaction allows opportunities for Central Garden & Pet to continue the consumer relationship with product use reminders, updates and special offers." Mobius is the only mobile enabled solution for consumers to interact with consumer brands through their cell phones which works with all media by simply taking a photo of the brand logo or image. We have the only technology the works across all carriers and cell phones globally, without needing a software download. We can supply the back end data of cell phone number, carrier and model, as well as city, state and country and in Real Time for the brand. The Mobius image recognition service is free to registered members. Users pay only the charges associated with their mobile phone service contract. Standard carrier messaging and data rates apply. Mobius is a self learning image recognition system designed to work with any camera-enabled mobile phone. When a user sends an image to Mobius, it receives, identifies, and replies with a custom message or unique mobile content. Mobius works on all mobile phone carriers, requires no downloads, and available anywhere in the world where a mobile or internet connection is available. Mobius responds in the primary language of the country the call comes from. Mobius mobile image recognition technology is also used in the MobiPET, MobiLUX, MobiSHADES and MobiBIZ applications. Mobius works best for users with an unlimited data plan, although it also works with cell phones without a data plan. The Mobius service in itself is free, but users will pay any data charges associated with their mobile phone service contract. Standard carrier messaging and data rates apply. Visit http://www.mobiworld.me for more information. IQ is an advertising agency with digital at its core. The agency's mission is the relentless application of Creative Intelligence to the growth their client's business. IQ has deep multi-channel experience, although they are particularly known for their work in digital. With numerous fortune 100 clients including UPS, Microsoft, Allstate, IBM, Royal Caribbean Cruises and the most prestigious creative awards in the world including the Grand Prix at Cannes, IQ has proven its unique ability to successfully guide brands into the future. To find out more about IQ visit: http://www.iqagency.com.